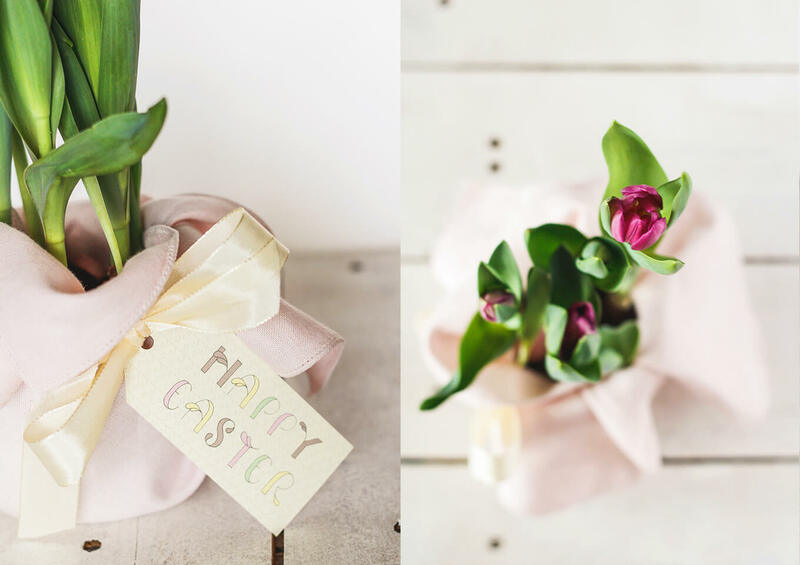 How to create a super quick last minute Easter hostess gift. 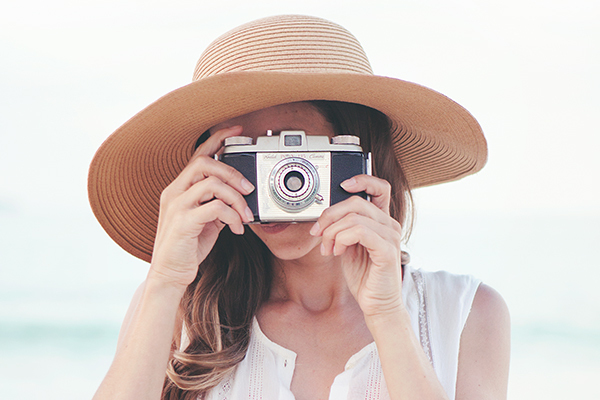 Have you ever had the need for a beautiful last-minute hostess gift? Today I’m going to show you how to create a super quick last minute Easter hostess gift, so you will always be able to say yes to anyone wanting to cook for you (do you ever say no to that?). I know I have winged a crafty present or two in my days, not always having it turn out too well. Wouldn’t it be nice to have a bulletproof idea for those occasions? 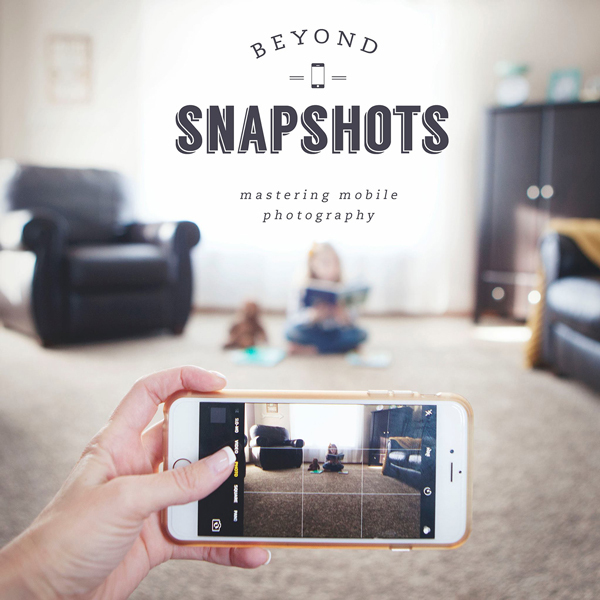 Because let’s face it, we don’t always have time to go last minute shopping at the mall, especially if you have kids in the house. 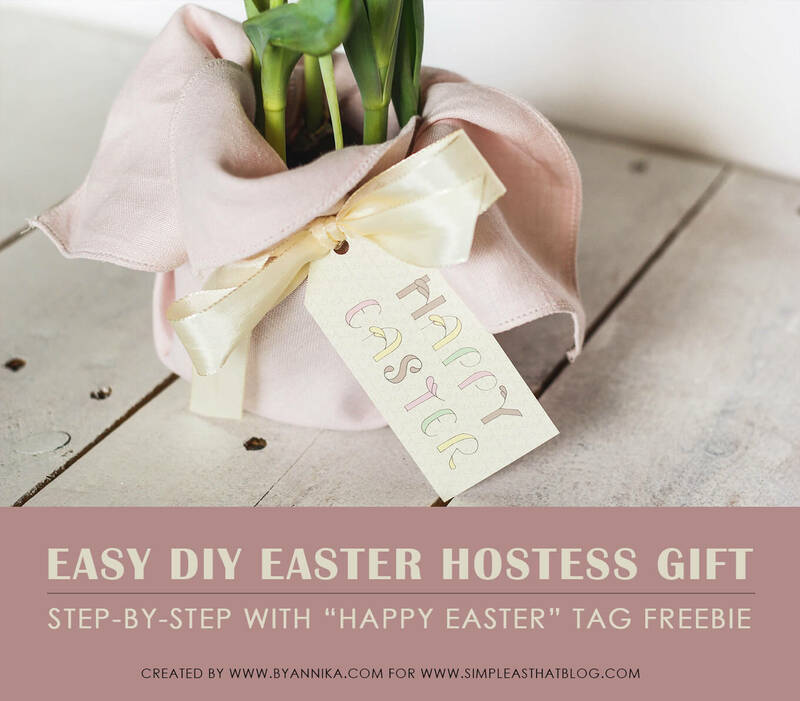 This super quick gift will be a sure way to any hostess’ (woman’s) heart, and since Easter is around the corner and you are likely to need a hostess gift this season, I thought that would be our theme for this simple and easy tutorial. 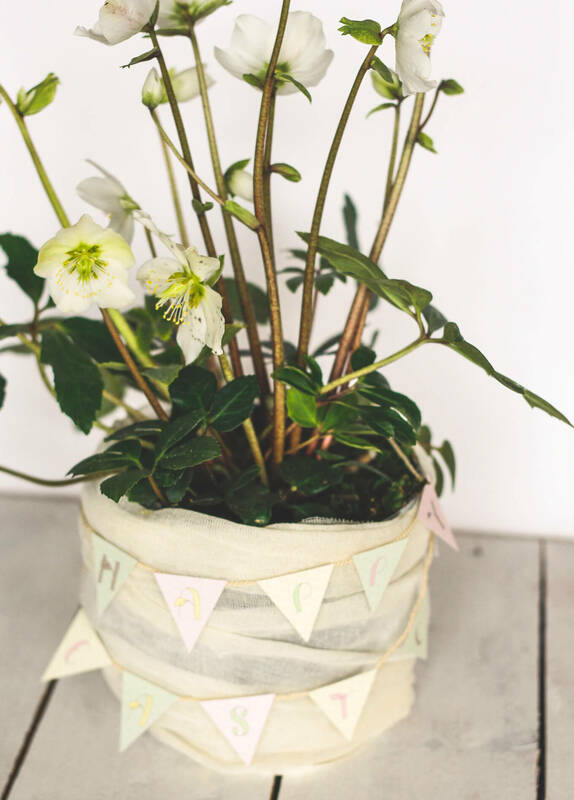 This little gift consists basically of dressing up a flower in a pot with some fabric and adding a cute tag, but one of the criteria for being able to create something quickly is having your materials at hand. Most materials for this project, you’ll find in you home/craft room, but we do need to get/buy a flower or a plant of some sort. Some of you might grow your own, but a really cool thing about early spring is all the potted spring bulbs, like hyacinths and tulips, which you’ll find at pretty much any grocery shop. Those of you who have them in your garden, go dig up a few bulbs and put them in a pot and you have your flower plant. Follow these easy step-by-step instructions below to create a super quick last minute Easter hostess gift. Assuming we have gathered all the above materials, we start by wrapping out flower pot in a freezer bag. Take a bag and pull it up around the pot of your potted flower. Cut excess plastic from the edge of the pot and up. Use tape to give the bag a snug fit around the pot. Place your pot (with the plastic bag) in the middle, on top of your cut piece of fabric, and start by folding one corner up and around the pot. Secure with a needle or two. Fold up the remaining fabric corners and secure with needles. Cut a piece of string and tie it around the folded up fabric, above the pot. Tighten the ribbon just enough so it won’t slide down the pot. Fold the fabric above the string, so it casually drapes down over the sides of the pot. 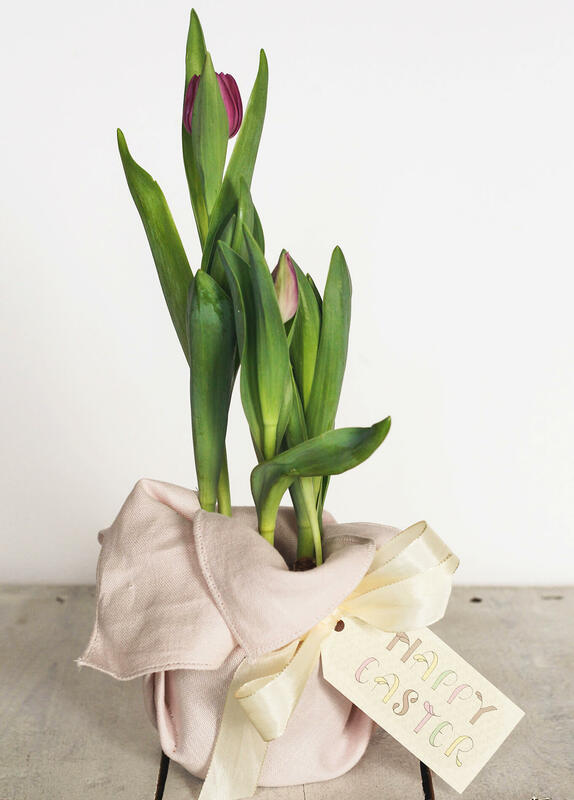 Now, let’s finish off the fabric covered flower pot with a cute ribbon and a tag. Cut a piece of ribbon long enough to wrap around the pot + making a bow.. Take your tag, make a hole and pull the ribbon through. Place the tag approximately in the middle of the ribbon and tie the ribbon around the pot. Now we are all done with the hostess gift. 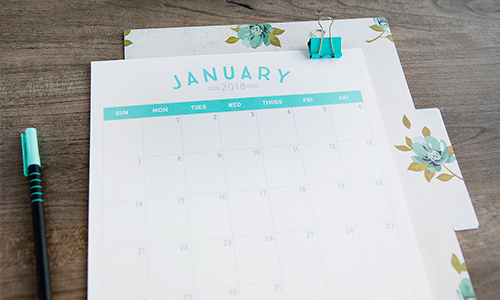 That went pretty quick and easy, don’t you think? 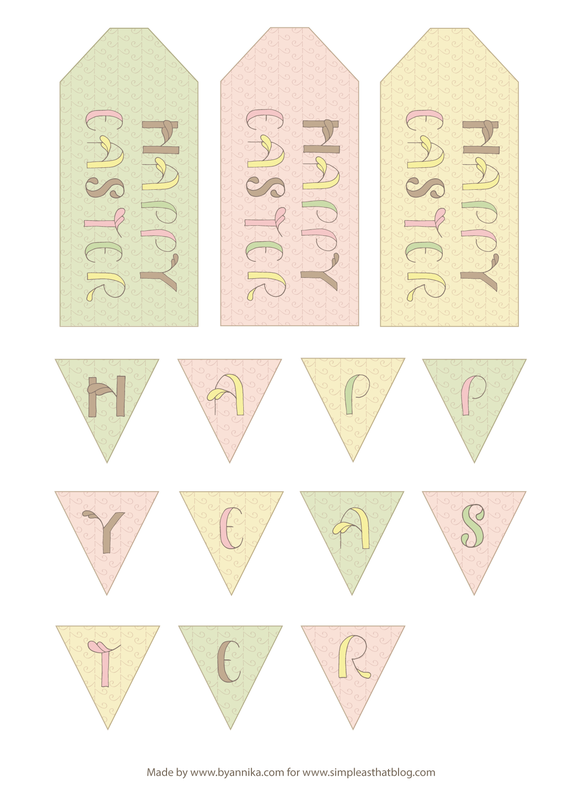 If you are up for decorating some more flower pots or maybe make one of your decor pieces in your house a little festive, there is also the possibility of making a small “Happy Easter” banner from the freebie. Just cut out the little triangles and glue them to a piece of string. 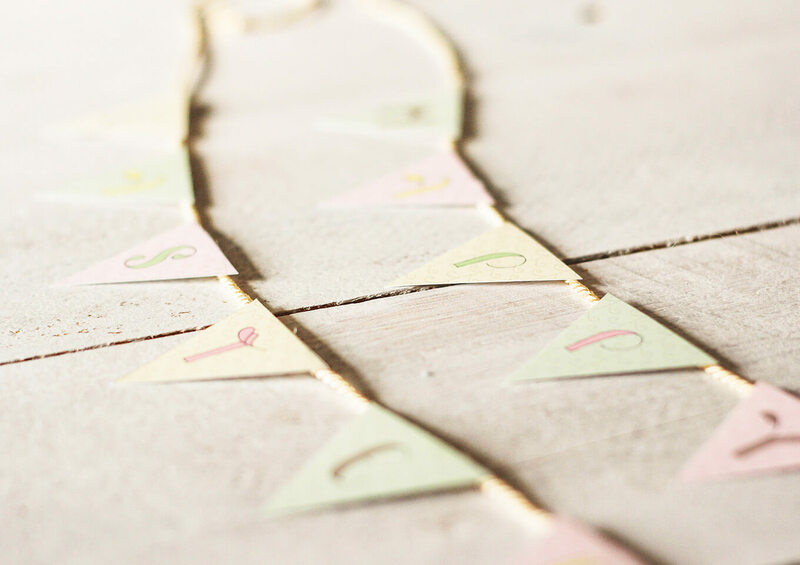 This little banner can also be a fun and easy project for the kids to put together, and they could get to decorate their rooms, some toys or maybe a favorite teddy bear will get an Easter necklace. So I hoped you enjoyed this super easy tutorial on how to create a super quick last minute Easter hostess gift. I think it’s the perfect bulletproof idea for those occasions when you just need that little something to bring with you. 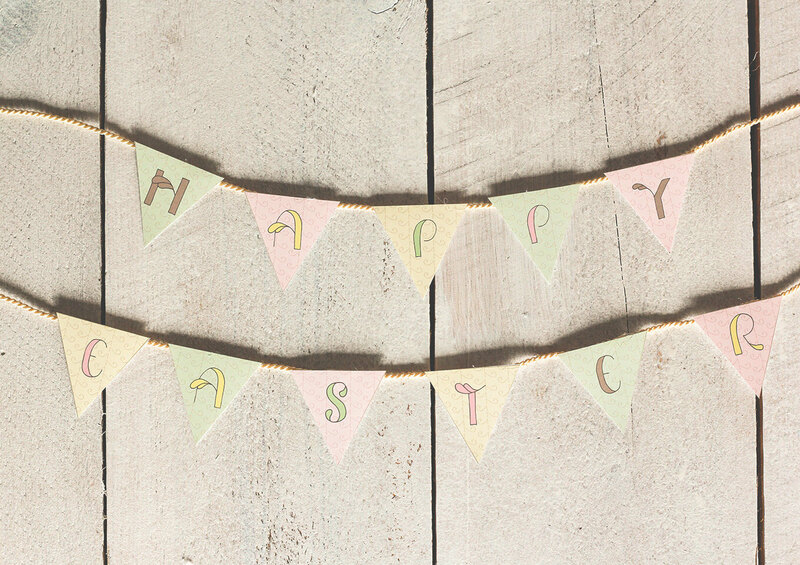 Have a wonderful Happy Easter !